Whenever a foreign national applies for a nonimmigrant visa type at a United States consulate or embassy abroad, the immigration officer will carefully consider the applicant’s “intent” in coming to the United States at the time of the visa interview. Typically, when an individual applies for a non-immigrant visa type, the presumption is that the individual is coming to the United States temporarily, and will not seek immigration benefits once they have entered the United States. Applying for a non-immigrant visa type with the intent to immigrate, or remain in the United States indefinitely, is a serious violation of the immigration laws of the United States, and can lead to serious consequences, such as a temporary or permanent bar of admission to the United States. To discover the applicant’s intentions, immigration officers are trained to ask foreign nationals very specific questions to determine whether the foreign national intends to immigrate to the United States. In addition to asking questions, immigration officers look for specific documentation to establish whether the applicant has strong ties to their home country. If the applicant meets all the eligibility requirements for the visa they are applying for, and if after reviewing the applicant’s documentation, the immigration officer is convinced that the foreign national does not seek to immigrate to the United States, the immigration officer will most likely grant the visa that is applied for. Foreign nationals who have a pending green card application cannot seek a temporary non-immigrant visa to travel to the United States, unless they are applying for a “dual intent” visa such as the H-1B visa. “Dual intent” is thus a powerful tool for H-1B visa holders because an H-1B worker’s “intent” to immigrate to the United States is not questioned. The H-1B visa category allows the foreign national to have a temporary visa, and at the same time have the intent to immigrate to the United States. In other words, foreign nationals can apply for the H-1B visa even if they have the intent to immigrate to the United States. “Dual intent” means that an H-1B holder may have “dual” purposes for entering the United States. H-1B visa holders who apply for a green card will not need to worry about running into any problems regarding their “intentions” of immigrating to the United States. Normally professionals who are admitted to the United States on a non-immigrant visa type that does not recognize “dual intent,” and later apply for a green card based on employment, will confront issues regarding their “intent.” The H-1B visa is one of the exceptions. If you would like to discuss whether you are eligible for the H-1B visa please contact our office for a free first time consultation. 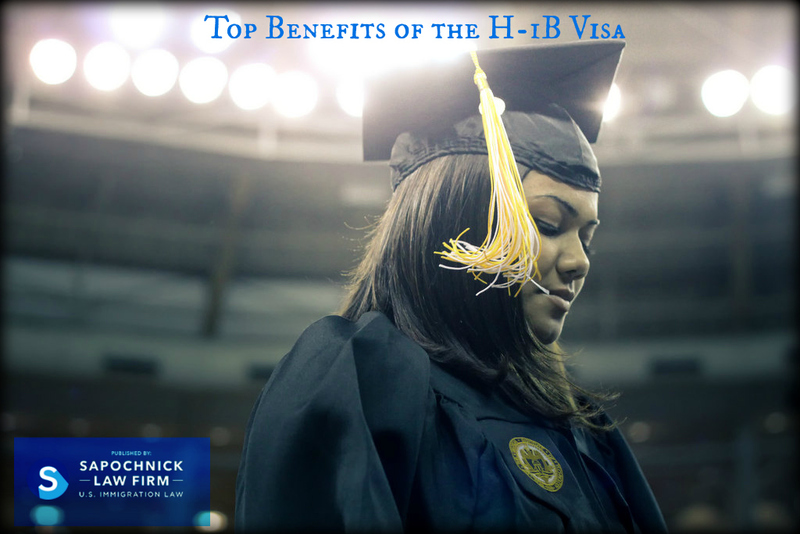 For more helpful information about the H-1B visa please visit our website.